And so I thought, why not do a blog post?! Because TECHNOLOGY! Actually, I don’t mind the quiet. It was very good to get out of the city for a bit. 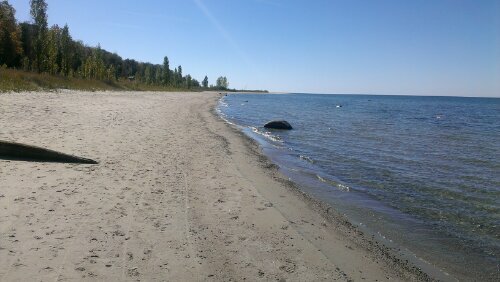 I miss living near a beach. 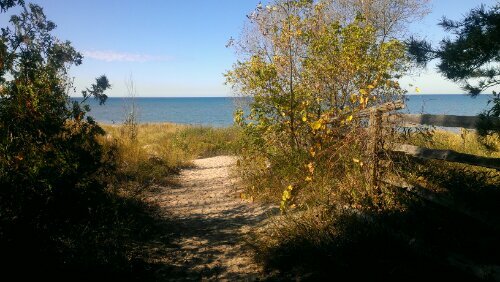 I realize that Toronto has beaches but….it’s not quite the same. 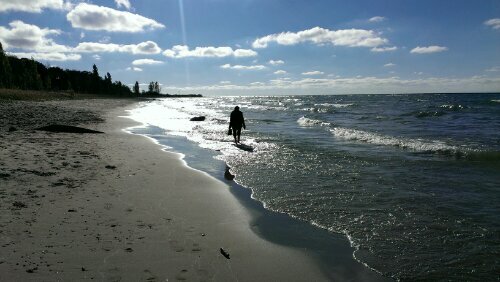 For one, you have to plan several days in advance to go to a Toronto beach. And the journey is far less whimsical. 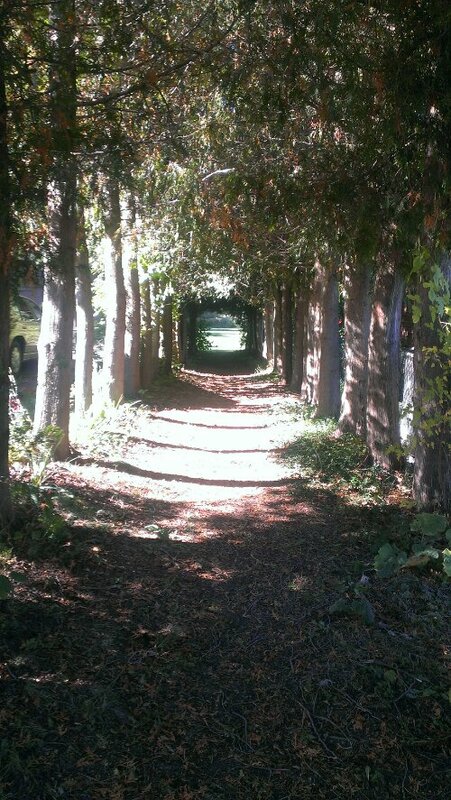 There is no magic tree lined path to meander down. 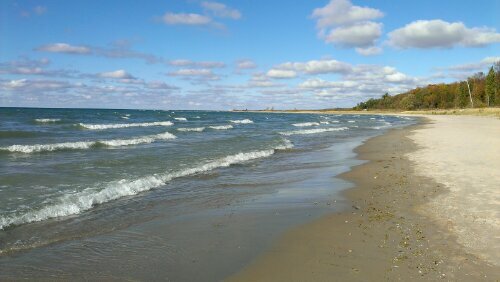 Also, even in autumn you would not find a Toronto beach this empty. 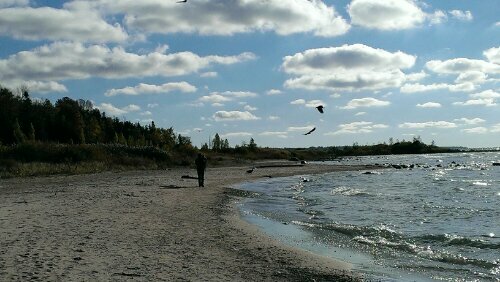 But then again, you probably wouldn’t find a flock of turkey vultures waiting on the shore line. I gained a new fear when I saw those turkey vultures. Not because they were one of the ugliest crazy looking birds around, (they are) and not because they are abnormally intelligent (terribly so). 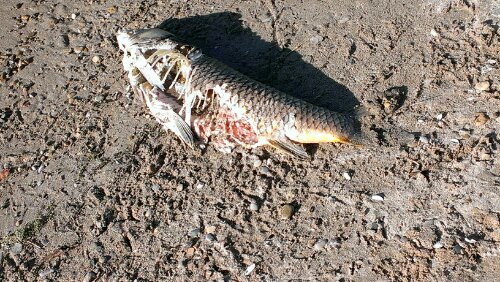 But because of how clean they picked this fish’s bones after dragging it out of the water. They were rather upset that we had spoiled their meal. They began to circle us overhead as we walked home. I began to imagine my eyeless corpse being discovered a month later. But still…I love the beach. 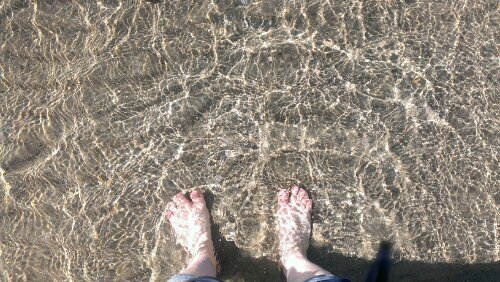 I like living in the city too, but sometimes I desperately miss the quiet and the closeness of water. Which leads me I guess to what I am thankful for…I am thankful for video games, for bacon, for the discovery of what happens when you mix chocolate WITH bacon, for Neil gaiman, for the entire fantasy genre, for egg tarts and all custard related products, for shawarma and for Hugh Jackman not filing a restraining order, for beaches and waves, for autumn winds and pumpkin pie. Oh yes, and of course my friends and family. They aren’t regulated to one day though, for I am thankful for them every day. Just as I am thankful to have everything I do (and it’s a lot). I am not thankful for cheese though. Because who thought that making milk bad was a good idea? And for the end of this somewhat everywhere post. 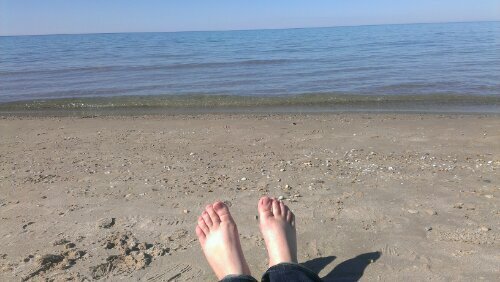 Here are my feet on the beach. Enjoy! And happy thanksgiving! Posted on October 14, 2013, in ramblings and tagged beach, thanksgiving, turkey vultures. Bookmark the permalink. Leave a comment.